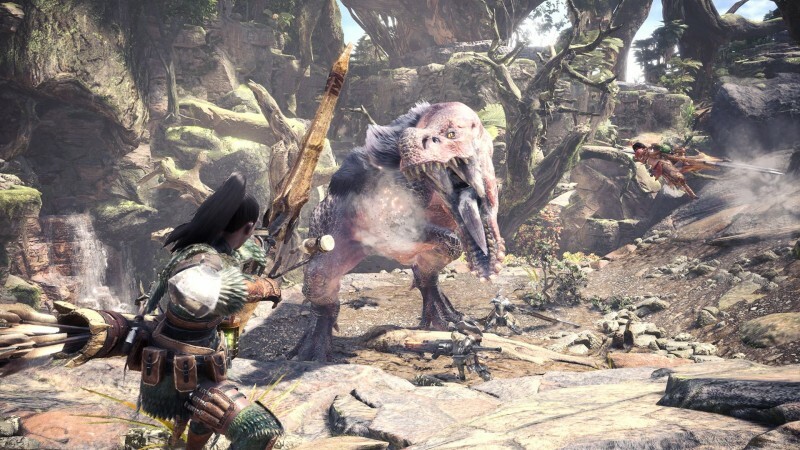 The latest game in the Monster Hunter franchise brings the core elements that have made the franchise a cult classic – difficult battles, fun and interesting progression, and stomping on dinosaurs with your friends – and opens the door for a deluge of new players with a more accessible sheen. Make no mistake, hearty challenges are still at the center of the experience, so veterans won’t be disappointed with the colossal end game leviathans. In addition to serving up what fans expect from the franchise, newcomers also have a chance to dip their toes in before being shoved out into the ocean and can enjoy a slightly more accessible ramp. 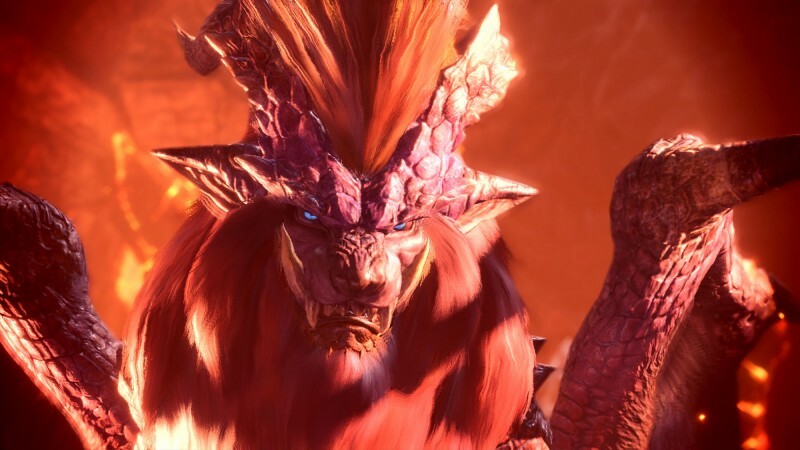 Monster Hunter: World is the most accessible game in the series, and funnels new players into the core systems and mechanics over the first 20 hours of the game. 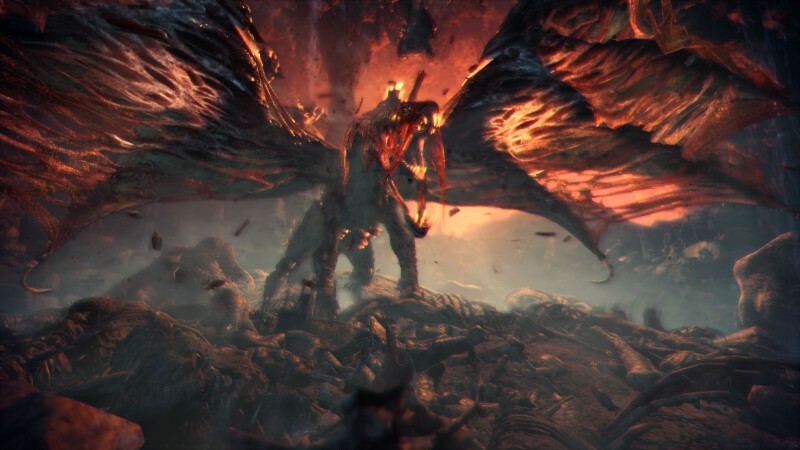 The first low rank hours are comfortable and casual, followed by more challenging high rank fare and an expanded armor and weapons system, and then finally, Elder Dragons. 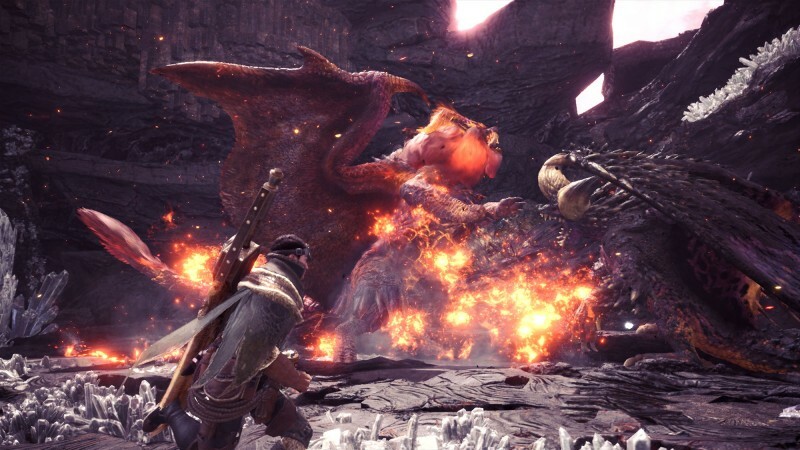 End game hunts pull all your skills are put to the test, and hopefully after all the progressive challenges leading up to them you’re ready for some serious battles and top tier rewards. This clear segmentation works incredibly well, providing a linear path that slowly ramps up both enemy difficulty and the underlying options for your gear. By the time I hit credits after around 60, I was eager to get right back into the mix for more post-game fun. 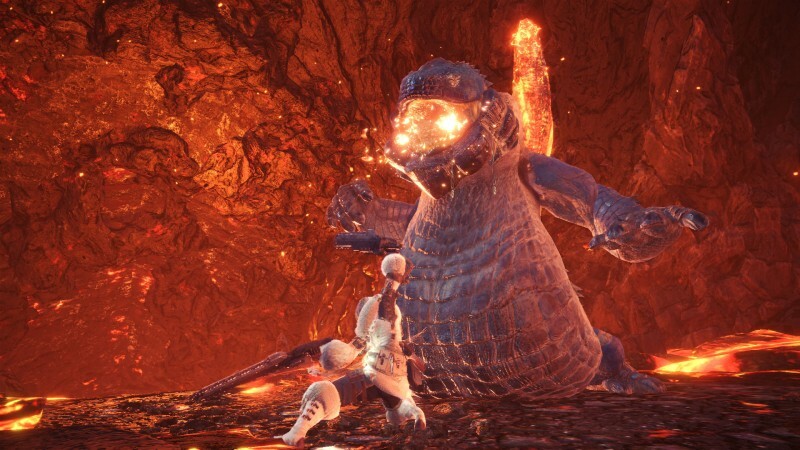 The intense task of bringing down an Elder Dragon and reaping the rewards provides a double-shot of dopamine to the brain, and you just want to roll back in and take on another. The progression loop is simple but enchanting. 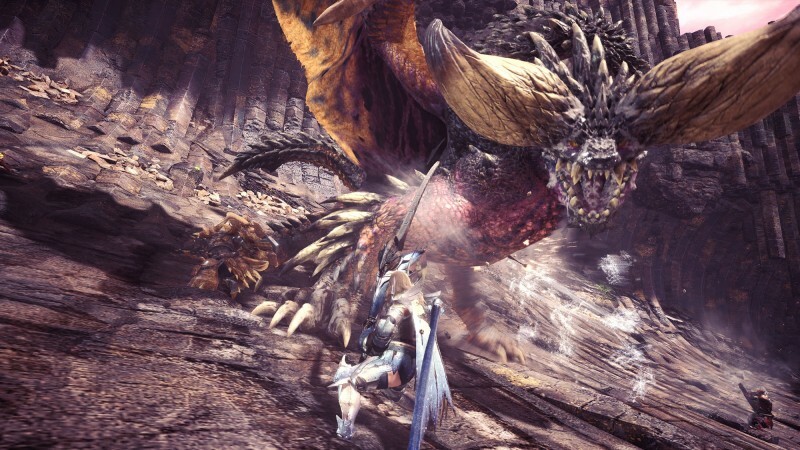 Go out, hunt monsters, use their parts to make new and exciting weapons and armor. As you progress through the game, more customization options unlock along with powerful set bonuses, allowing you to create a potent mix via set pieces and decorations (gem slotting for bonuses). 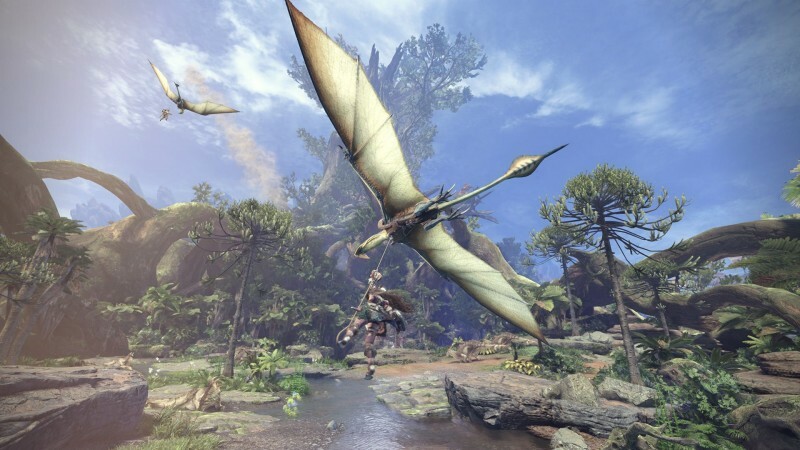 An element of exploration adds to the experience, as you can stumble upon all-manner of interesting things out in the wild, from new Palico tribes and gadgets, creatures to collect and put in your house, and undiscovered monster clues that can lead on a dangerous, wild ride. While each area is its own instanced piece of the larger world, each feels distinct and interesting. 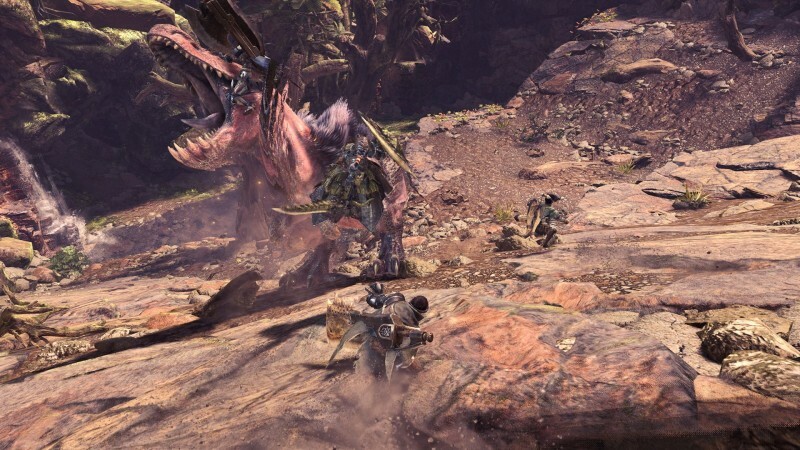 Each time you come back to the main city of Astera, there’s something new to engage with as well, like sending out your Palico squads to hunt for you in previously conquered areas, upgrading your food options in the canteen, collecting the fruits of your harvest, or checking out the new goods that come into port via ship. The streamlining of certain franchise staples is a boon for both newcomers and veterans. Instead of dealing with annoying paintballs and guessing games during the hunt and chase, scout flies are a great solution. These helpful insects provide a tracking experience that feels natural and immersive as you collect tracks and other clues around an environment that lead to their habitats. Learning more about monsters from tracking, hunting, and capturing fills out your research library in the town hub, allowing you to get a comprehensive look at monster weak spots, elemental strengths, break-off parts, and drop tables. Studying these entries an extremely useful way to learn more about the monsters and your approach to beating them. Picking up useful materials as you run by instead of having to stop is great, and auto-crafting makes annoying activities like refilling your essential consumables a thing of the past. 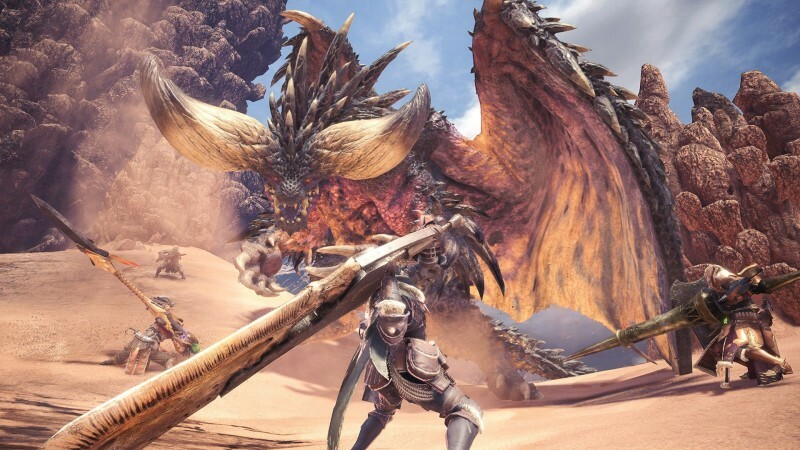 Monster Hunter: World offers 14 different weapon types that embrace all variety of play styles, from in-your-face aggression to long-range bombardment. Weapons are tagged with accessibility in mind, pushing new players toward more responsive equipment that may not require as much setup or methodical combat. But for those who want to show off and put their skills to the test there are plenty of opportunities. 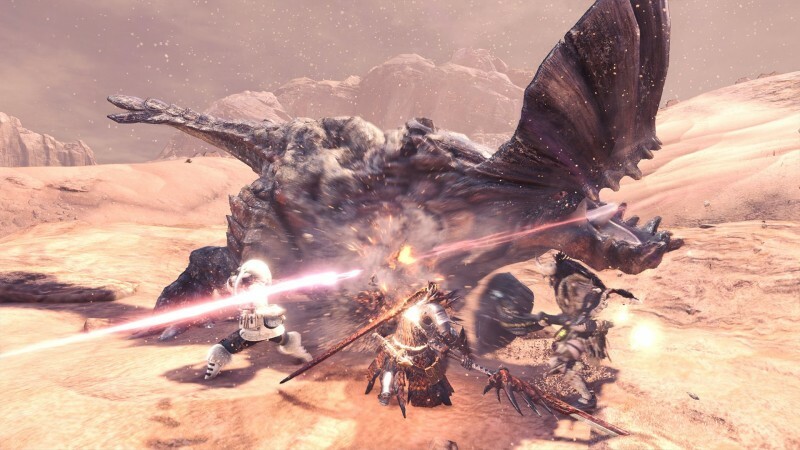 A longsword user will have a much different experience than say, the hunting horn, and experimenting with different weapons is a big part of the fun. Catching up a new weapon to your current “tier” only takes a few battles, so it’s easy to try out a new play style. This adds a good deal of longevity and entertainment to the overall experience. A few quirks drag World down from the heights of greatness. 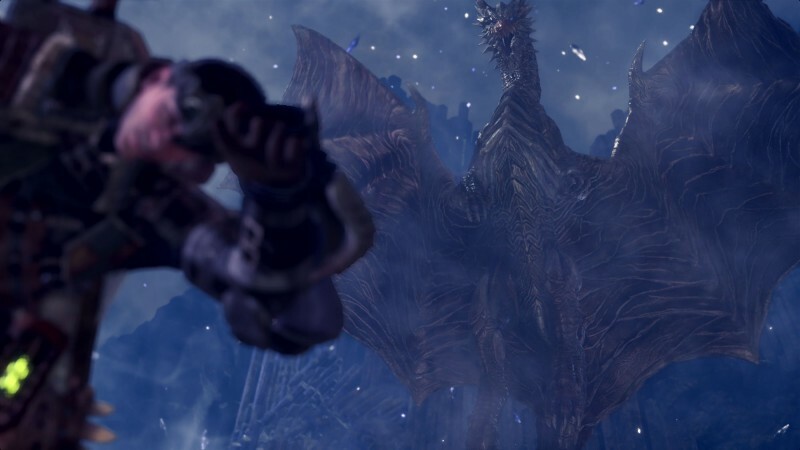 Some framerate issues happen from time to time, creating a jarring combat experience, especially when there is more than one giant monster on the screen at the same time. Sometimes when you have two or three big beasts in the same area, they won’t even really interact or move around unless you’re really close to the action – which is probably the last place you want to be in that situation. There are a few other minor down points, including one of the story-based battles (that the game has the ridiculous notion that you’d want the opportunity to play it more than once!) being an unfun slog that’s more of a trial of patience than a battle with a monster. When playing multiplayer, you must wait for a friend to complete story-based mission objectives before joining in their quests as well, but in the grand scheme of things these quibbles can be overlooked. Hunting down colossal prey has never been better.